Electricity Markets Electric pricing is up across all markets. 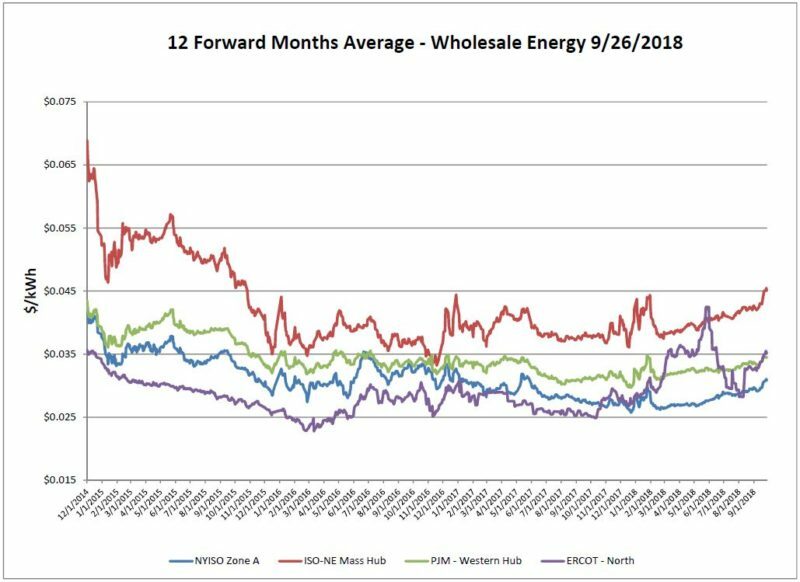 New England has extended its steep upward movement with the increase largely tied to the underlying price of natural gas. New York is up from some of the lows that we’ve seen but the opportunity for good forward pricing remains.